For many years the focus for treating Plantar Fasciopathy (a more up-to-date term for plantar fasciitis) has been to stretch the calf as much as possible. I remember the standard handout we used to give out many years ago, way back when I was a Junior Physio in the NHS, that had nothing but stretches on it. That was pretty much all we did at that time for plantar fasciopathy! Fortunately research and practiced have moved on a lot since then. We now recognise that loading the fascia and strengthening the muscles around the foot and ankle may be more effective than stretching alone. The question is though, how might we do this? Well to save you reading a lengthy blog I’ve discussed this on Facebook Live and I’ve embedded the video for you below. We’ve also create a free download which includes a selection of exercises and the research and reasoning behind them. 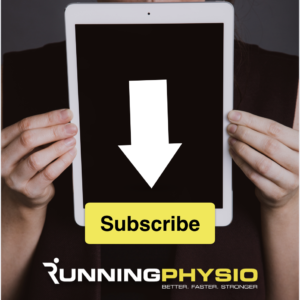 Click the button below to access the rehab programme and join our Cutting Edge Clinicians mailing list. For more free tools, including a great glutes exercise circuit, check out our download page. Our achilles tendinopathy series is only available for the next few days, sign up for free access HERE. Next articleWhat’s the key treatment for runners with patellofemoral pain?